I was pretty excited- I quit smoking and trained for 3 months. Ray ran with me(my ex fiancé), he did no training at all. I was excited and nervous. 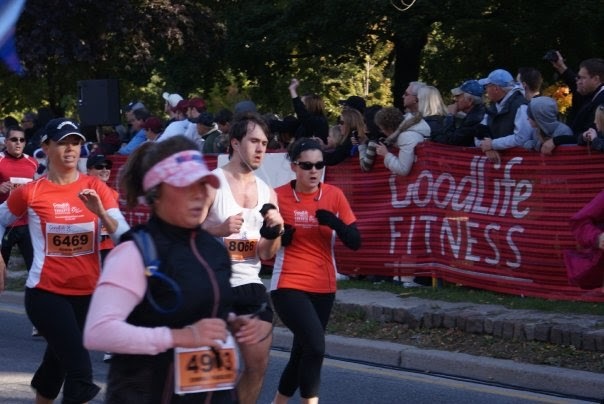 When I got downtown as we were parking the car I realized that I forgot my Bib and Time Chip- I was devastated and cried all the way to the start line. I did pretty well and felt good till km 17 or so. Then I just wanted it to be over! 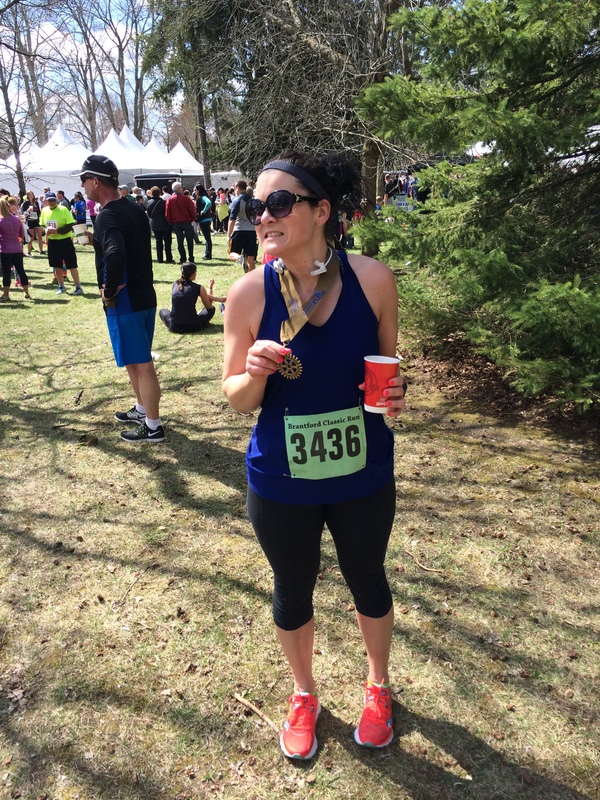 At this point I was happy I finished but not to sure if I ever wanted to do this again! I did however only beat Ray by 5 Minutes. I trained but not enough-I was going to run with my Dad for the first time. He has been running for almost 20 years and is a good runner. It was so cold that day and we were shuttled 21 km outside of town 2 hours before the race with only a small shelter for about 650 people. No place to sit and little shelter = not good. It took 5 km for my toes to un thaw and I had a cramp from km 3 to the end. The hills started at km 15! Just a bad running day over all. At this point I was thinking that I will NEVER EVER run this far again! I had lost about 20 lbs and training was going well…..I had rested my knee and was feeling good- I was very excited to run. I missed the registration and it sold out! 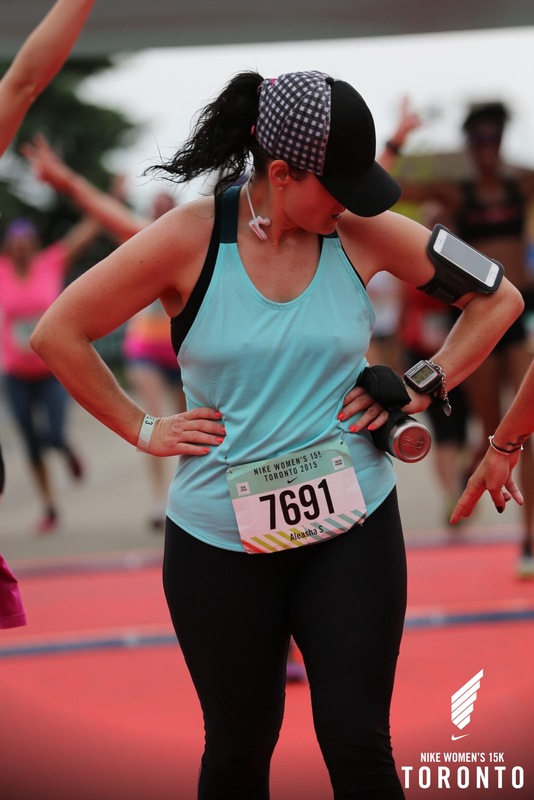 I was so upset and almost didn’t get to run…..See that story HERE….I went to use the porta potty 30 minutes before the race the line was so long I was actually in the porta potty when the start gun went! I lost my dad but was able to catch him (and beat him in the end!!!!) 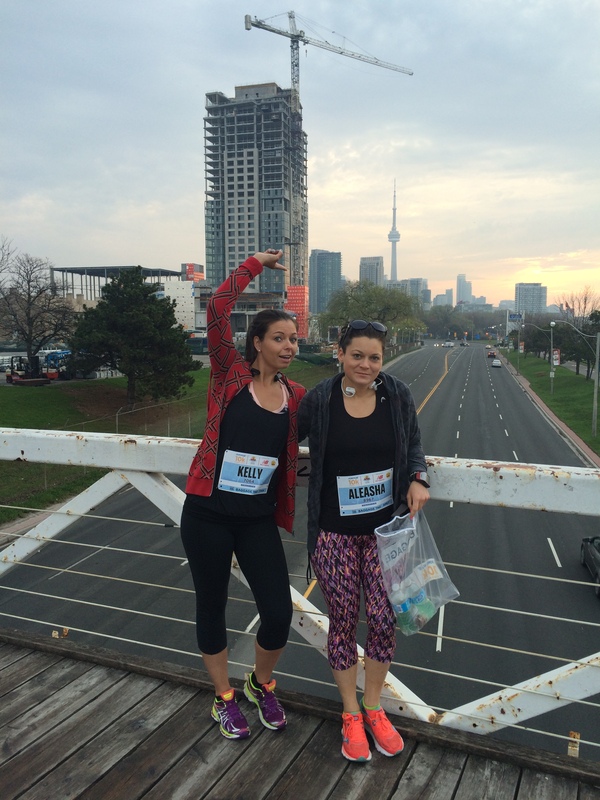 around km 14 or 15….But it all worked out. 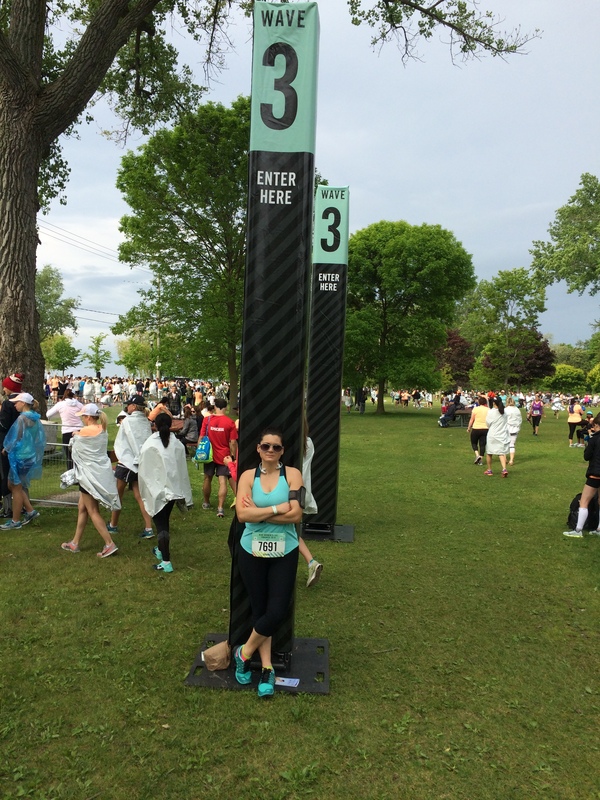 I felt great going into the race and during. Too bad I held back a bit, as I was waiting to hit that wall that had happened in the last 2 races. It never came! Time 1 Hr 52 Min 15 Sec-PB Time! After this run I was already planning my next one right away. It took almost 5 years but I think I finally LOVE running! 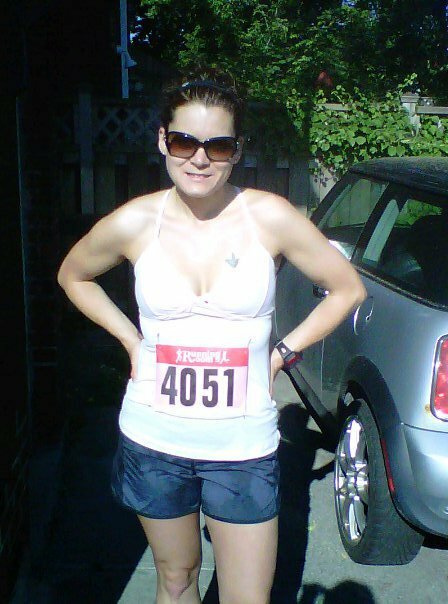 Just a couple days after my Ottawa half and I had the running bug bad. I was scouring the race pages for races in my area for the weekend that were taking late registration. I found the Bread and Honey 15k and it was only 20 minutes away! 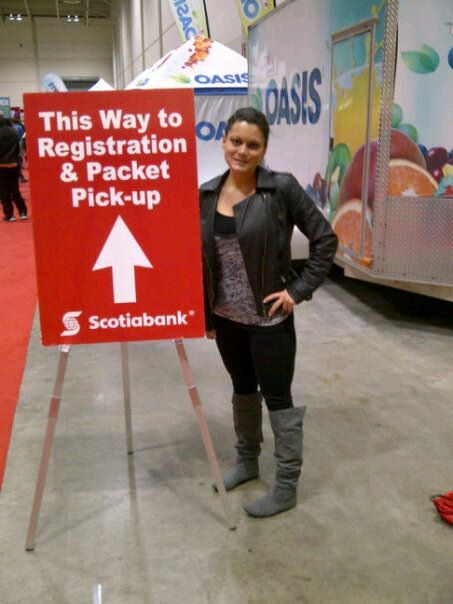 I drove to the running room location near the race on the Saturday and registered and picked up my race kit. Basically I felt good for this race. 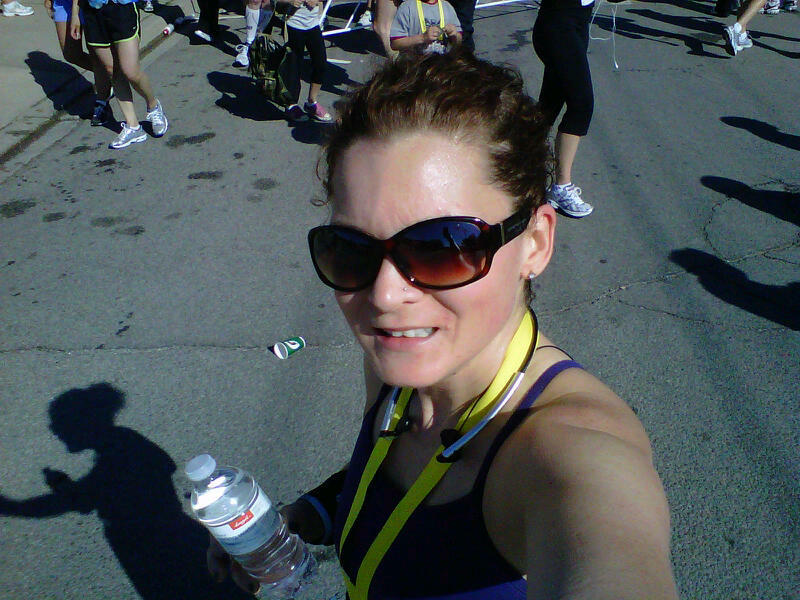 It was a beautiful day and besides a small cramp I was loving the run! I was pretty happy with this time! 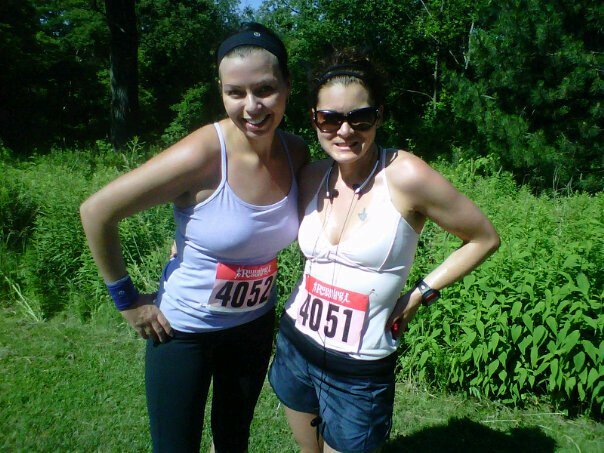 Free to Run 10K is held in July in High Park in down town Toronto. It is a 5K loop repeated twice. It is SUPER HILLY! But I had a great run that day. My Bestie KFG ran it with me. Although it was so hot my face was melting by 8am, and I was peeing in the woods as the start gun went off, I still managed to do 51 minutes! 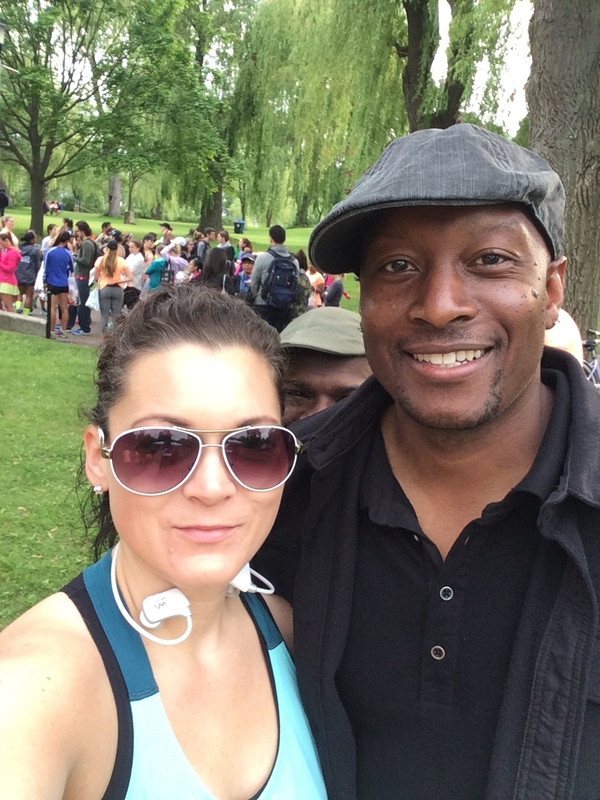 I was training for my full marathon that was only a couple months away so I was covering lots of ground. This was a great run day! I trained for about 16 weeks for this one. I stuck to my training plan the best I could considering 4 weeks into the training I left my fiancé and turned my whole world upside down. It was a bit of a whirlwind and for the next 8 weeks I stayed between 3 different friends houses. Sleeping on couches and in their guest rooms, while I looked for my own place. I was running in unfamiliar areas, constantly having to map out runs and guess if the routes would even have side walks. But all things aside, come race day I was ready. 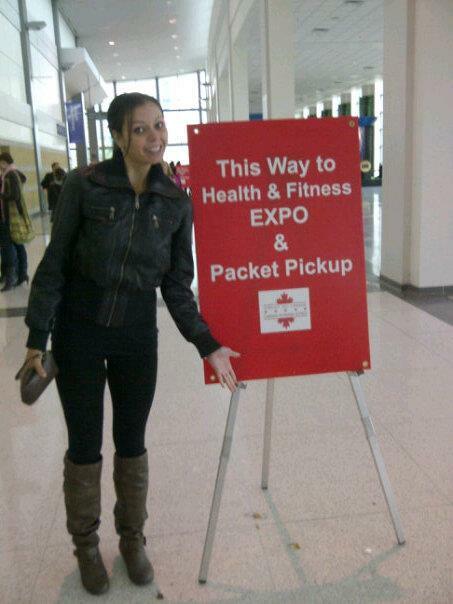 I was physically trained and mentally excited. 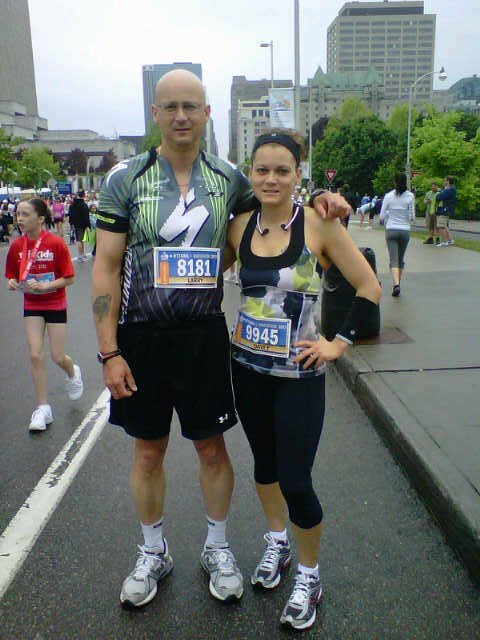 My Dad was running the full marathon with me and my BFF KFG would be doing the half marathon. 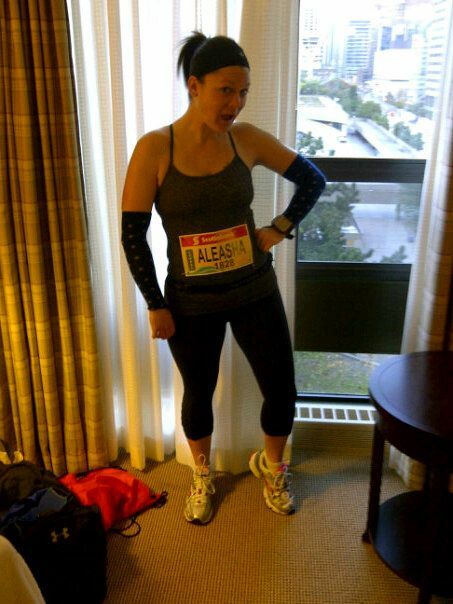 The morning of the run I was pumped. It was finally here!! It was chilly as the run was in October but I didn’t want to over heat. I stayed with KFG until about km 18. I had so much energy and felt great at that point so I took off. I completed the Marathon at 3Hrs 54Min and change. I ran the whole thing and never hit that dreaded wall runners are always waiting to slam into! In fact I should have aimed for 5:20 minute KM’s the whole race and I would have qualified for Boston! Oh well! 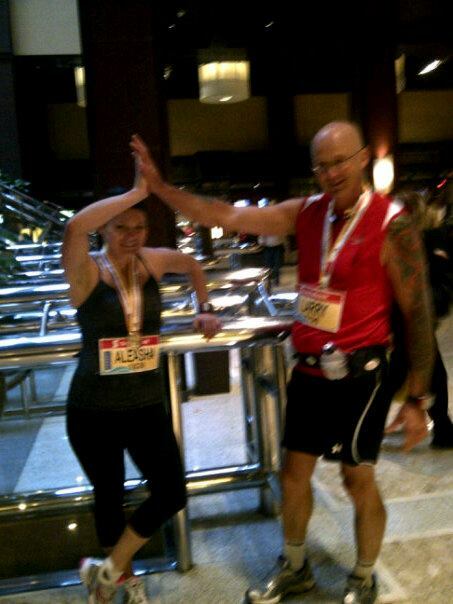 Me and my Dad post Marathon…….so blurry. 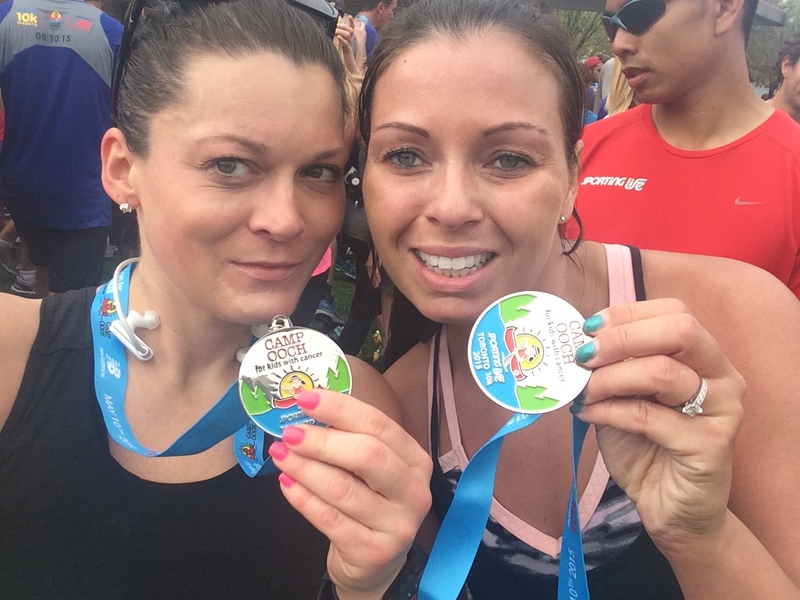 We couldn’t get a non blurry picture for some reason!Will I ever train for a Full Marathon again? Not sure…..Maybe one day. 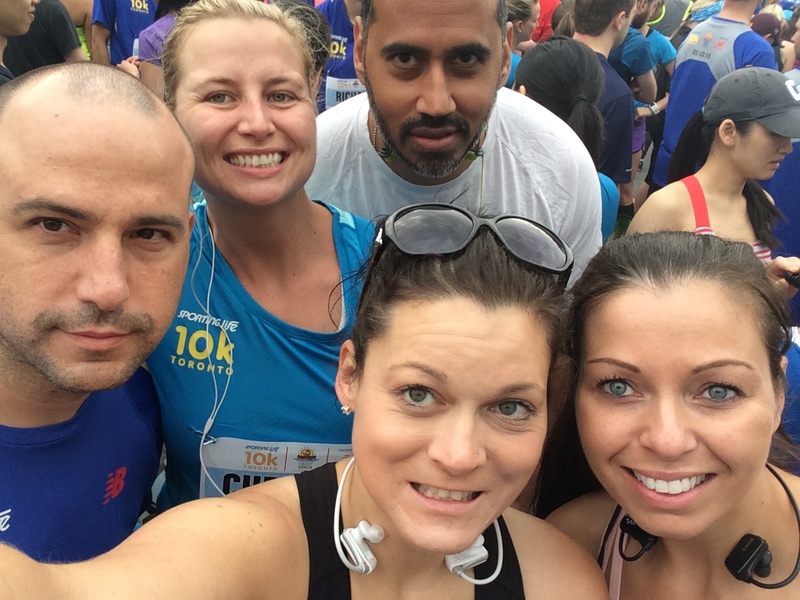 KFG and I ran with a few other people from work. 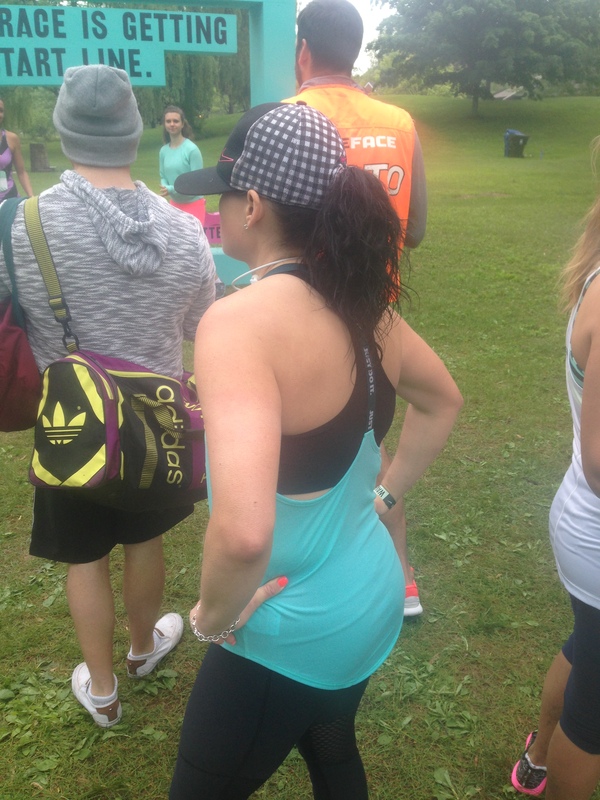 It was a hot humid May morning….Like you sweat from tying your shoes humid! I love it! 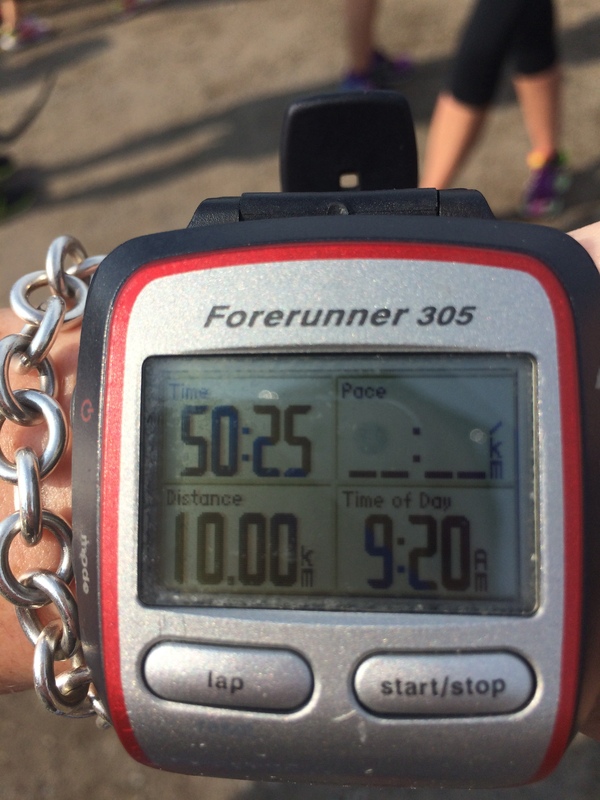 According to my Garmin I hit 10K at 50:25 PR! 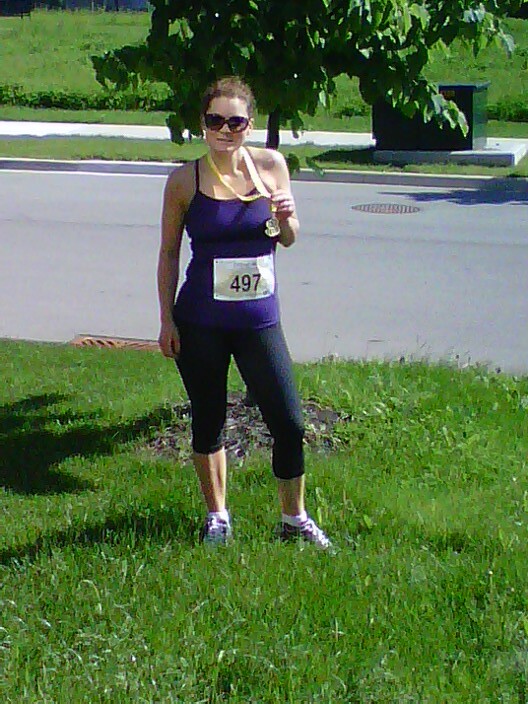 My Garmin said the total run was over 10.3K and my official chip time was 51:33. 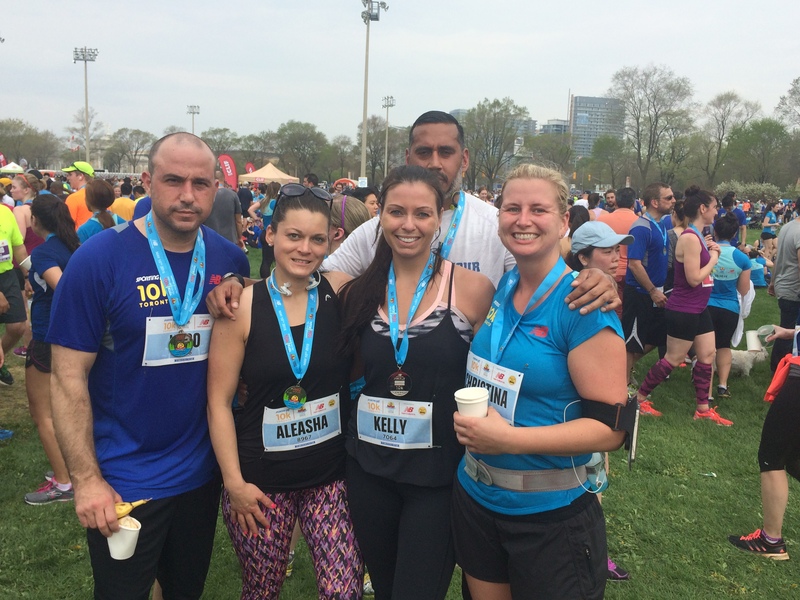 About the same race PR as my High Park 10K….. Looking forward to this run next year! The island was already a buzz when I arrived, with live music and a DJ. and the sun had came out….things were looking up! This was a later race with the first coral starting at 9:30am……I entered my coral around 8:30 and literally 1 minute later it started to rain! 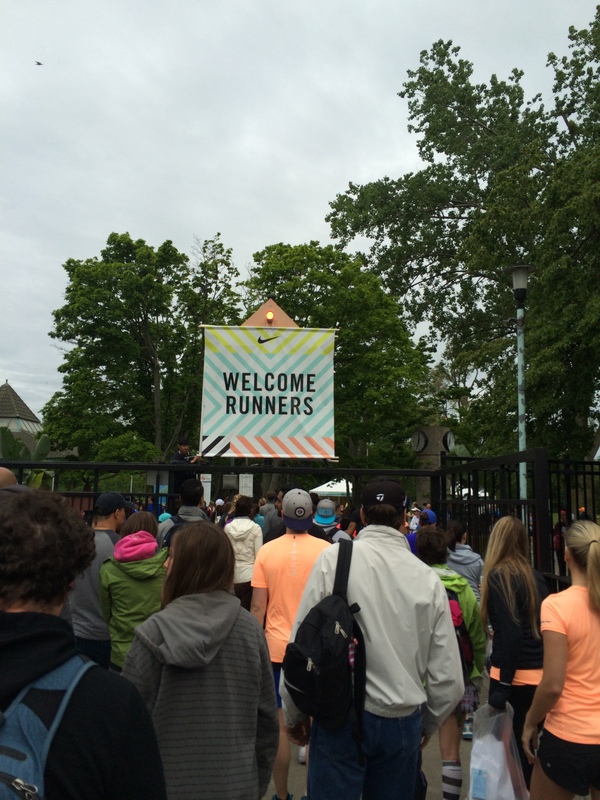 The first 2 km was pretty packed and it was a lot of running around people…..and puddle jumping. I really have to re-evaluate my coral positioning in these runs! At this point I was pretty sure that unless the path opened up this wasn’t going to be a PR run. 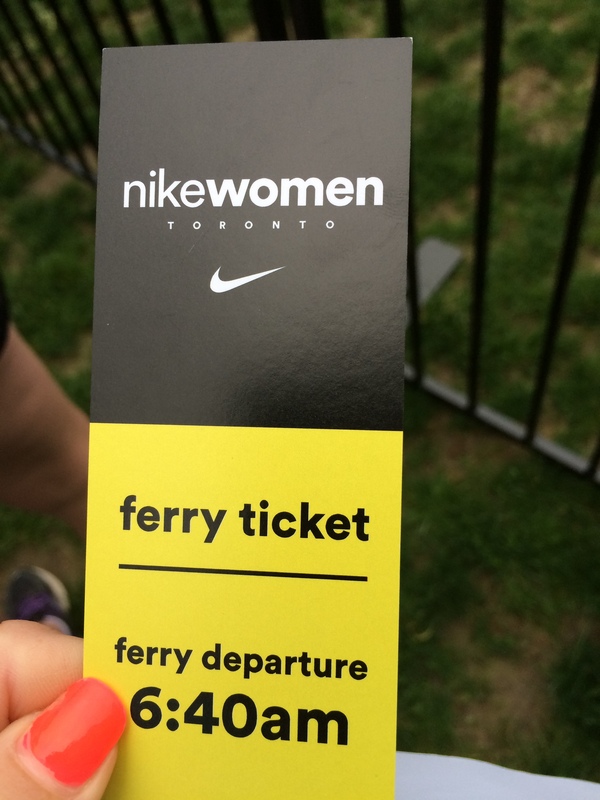 It stopped raining about 3 km into the run and I was able to enjoy some of the some of the scenery……It really was a beautiful run……seeing the Toronto sky line and the beautiful buildings and houses on the island……plus it was pretty cool to be running on the runway, of the island airport, and have planes taking off beside you! I was hitting my marks perfectly……I wanted to do a sub 1:20 run….So I broke my run into 3km chunks in my mind……and set a goal of 16 minutes for each 3km chunk….Sticking to a 5:20 pace I would hit these times….. I was swearing up a storm in my head…..WTF…..so close to the end…..
Over all the cramp cost me about 2.5 minutes, best I can calculate…..
It’s true maybe someday!! I love the half as my choice run and 10ks are my fun distance. This is so inspiring. Congratulations on an amazing achievement!